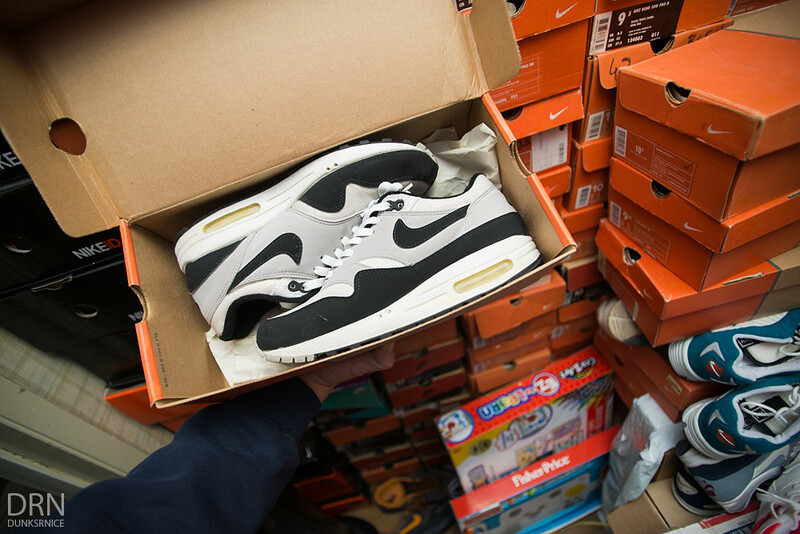 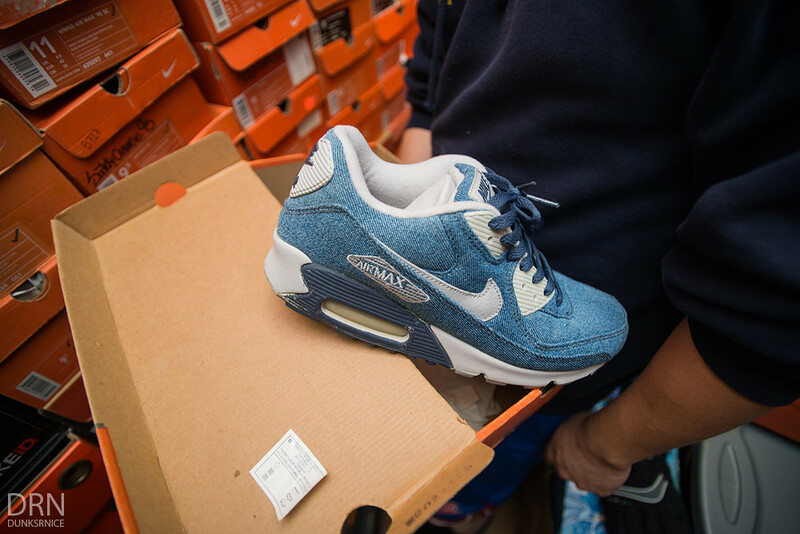 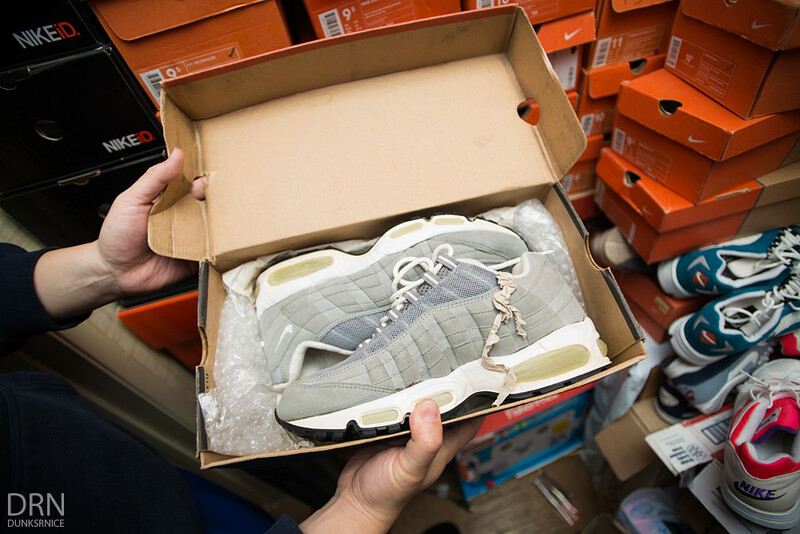 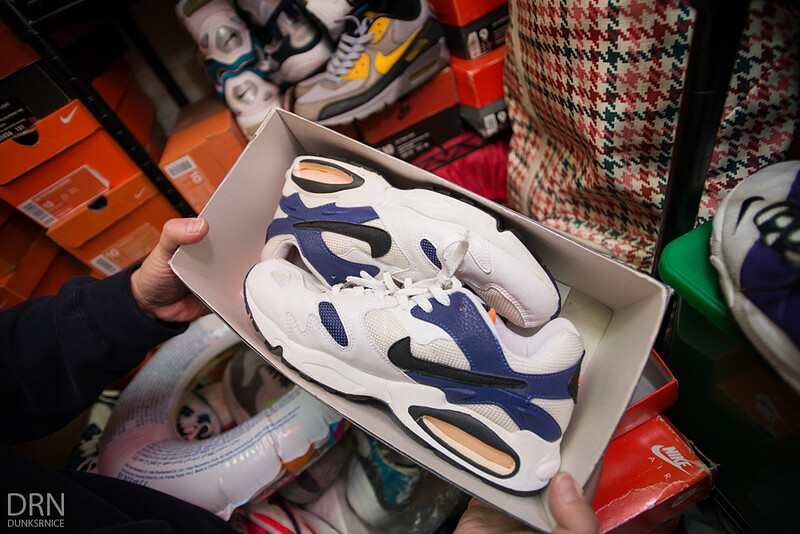 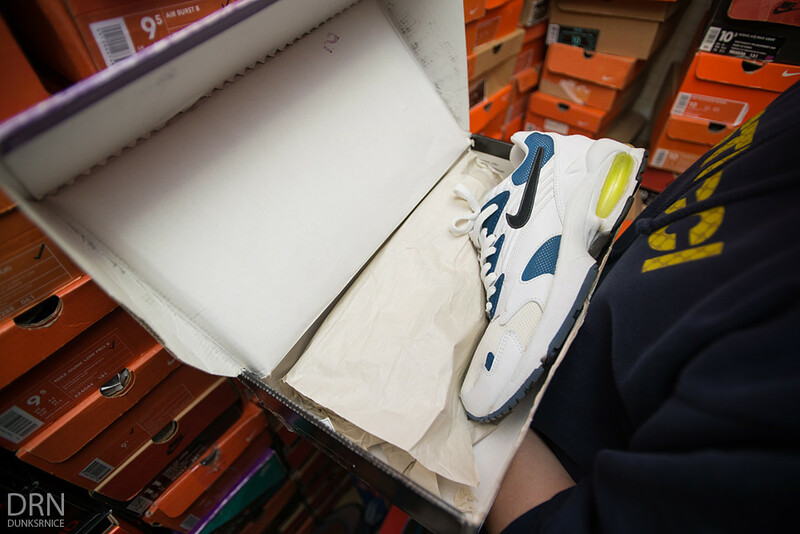 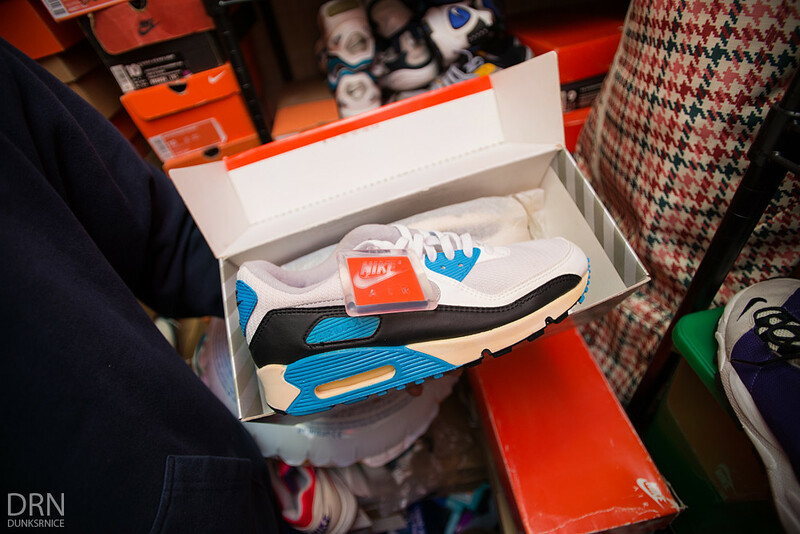 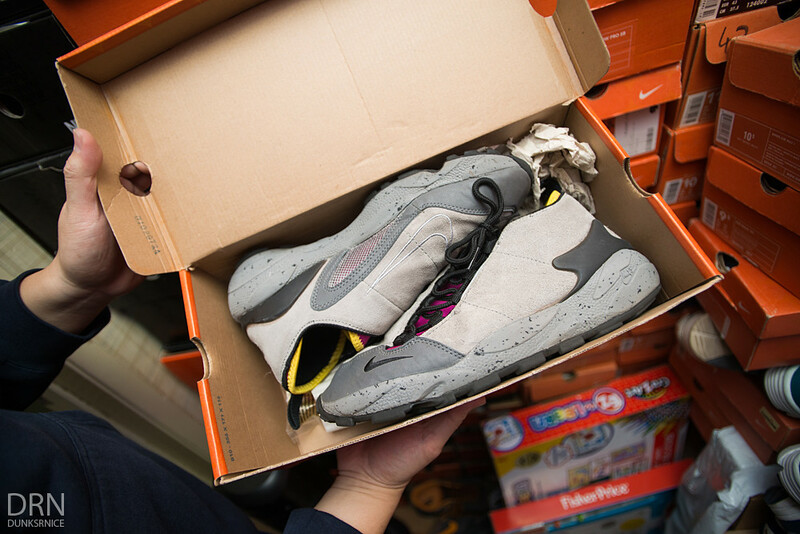 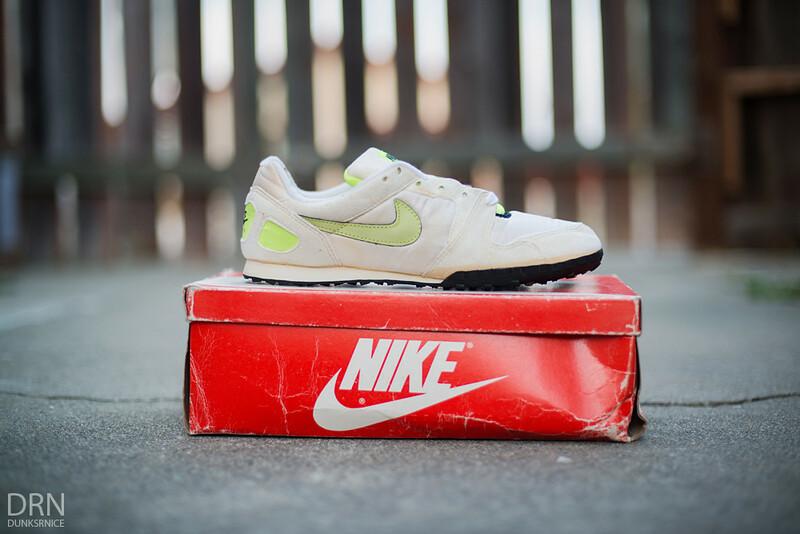 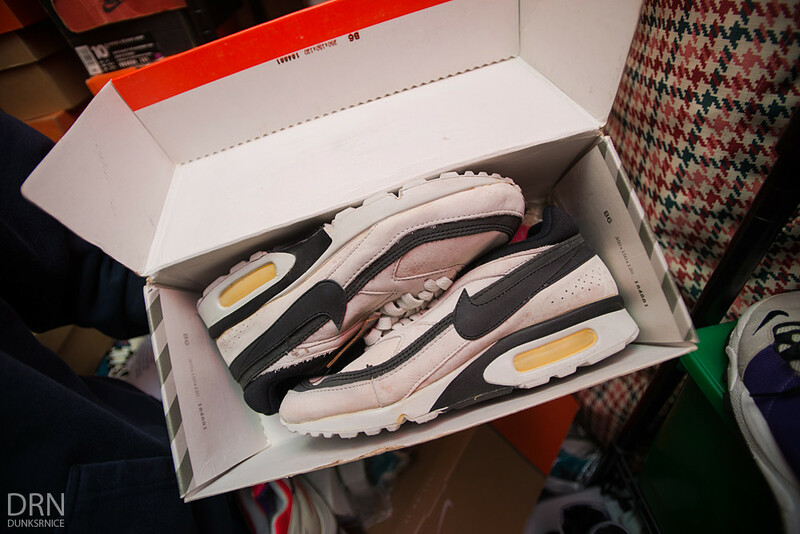 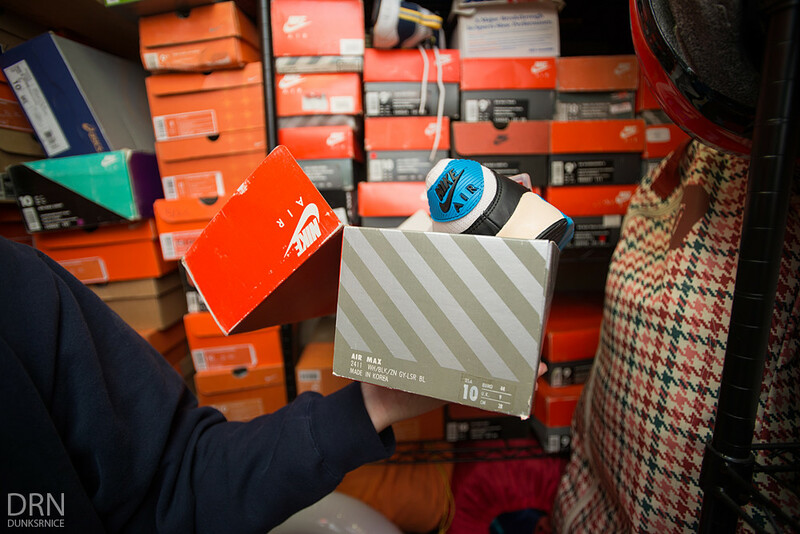 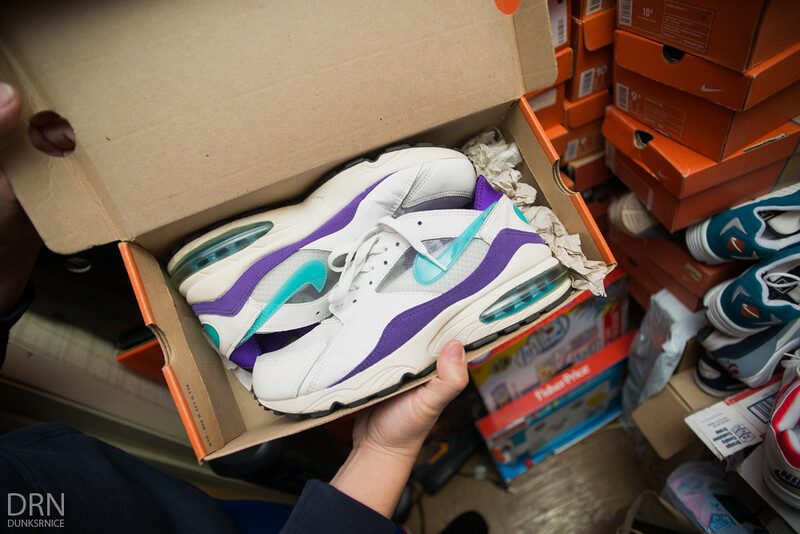 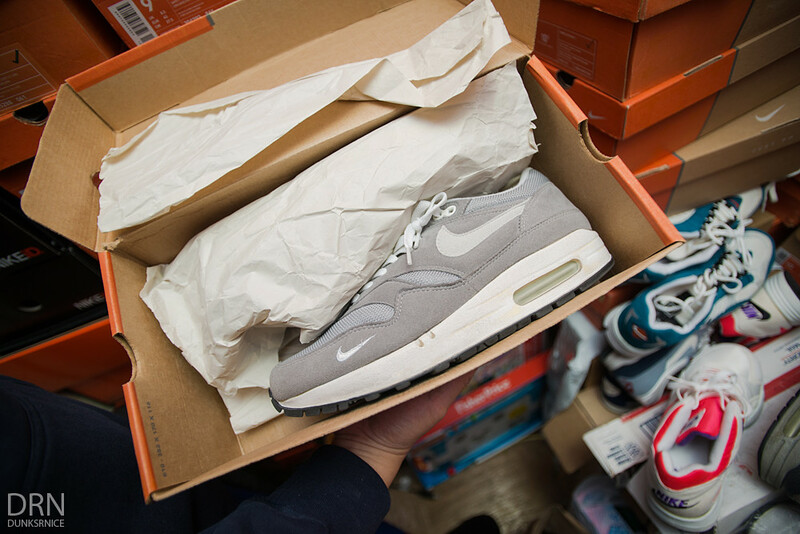 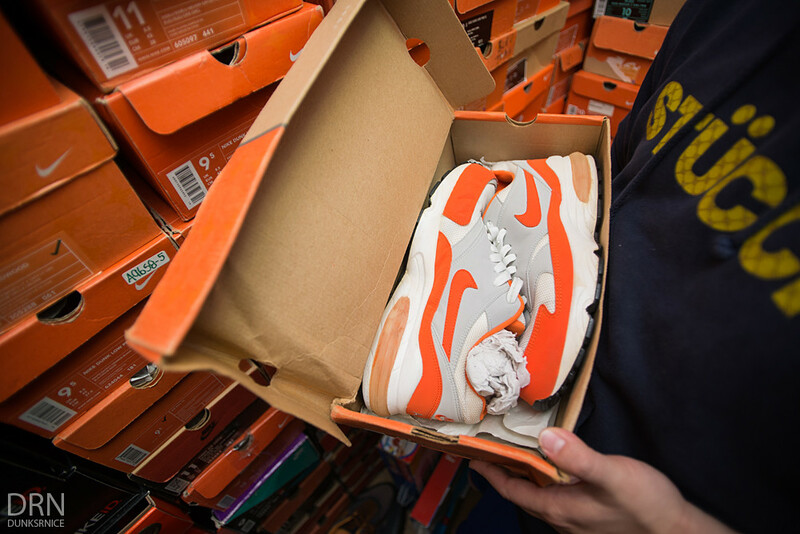 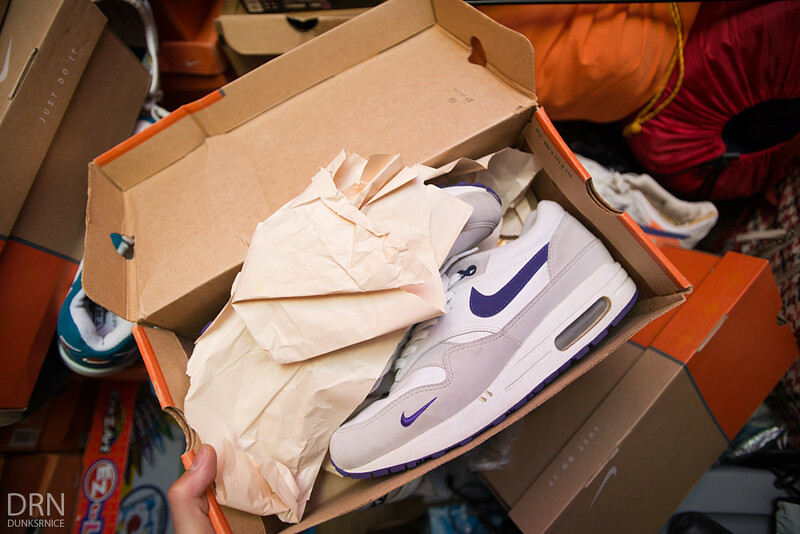 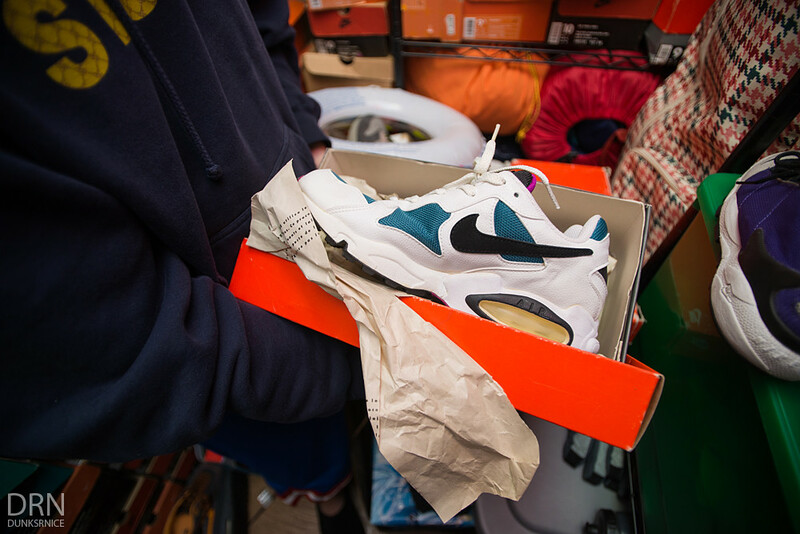 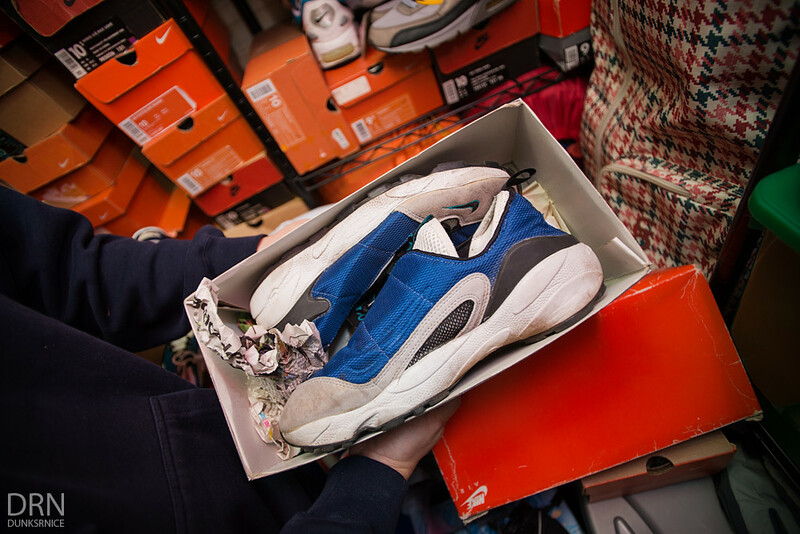 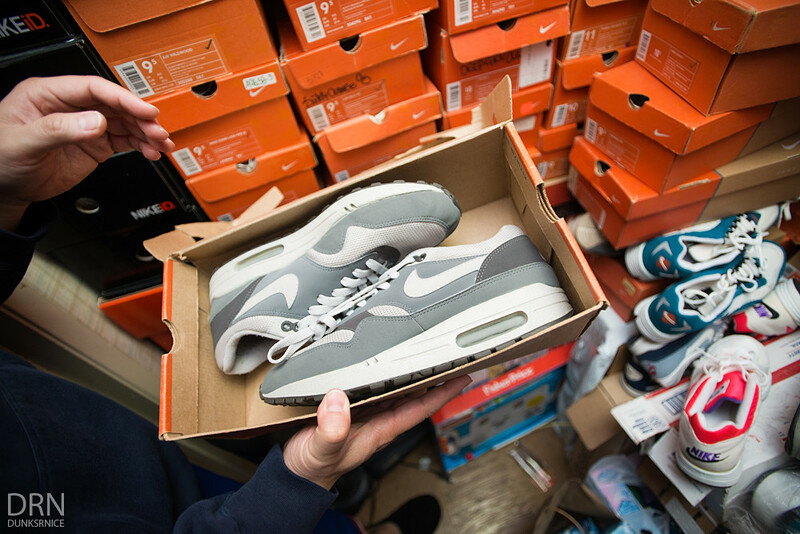 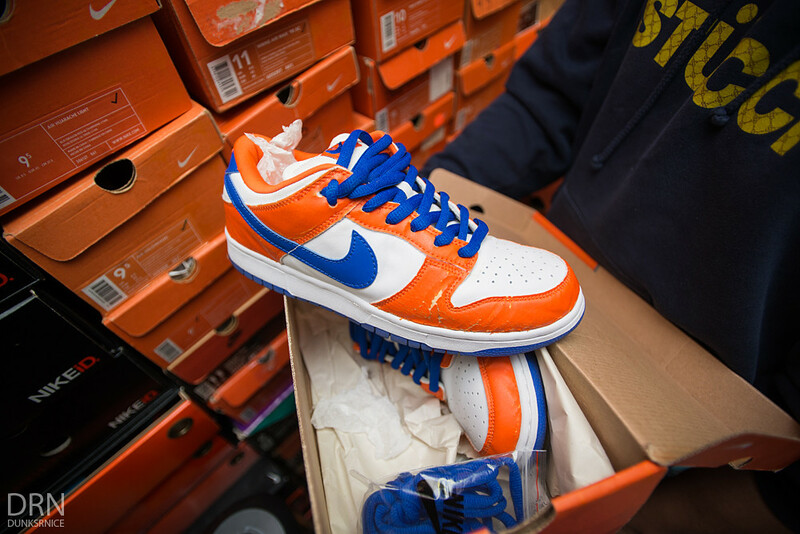 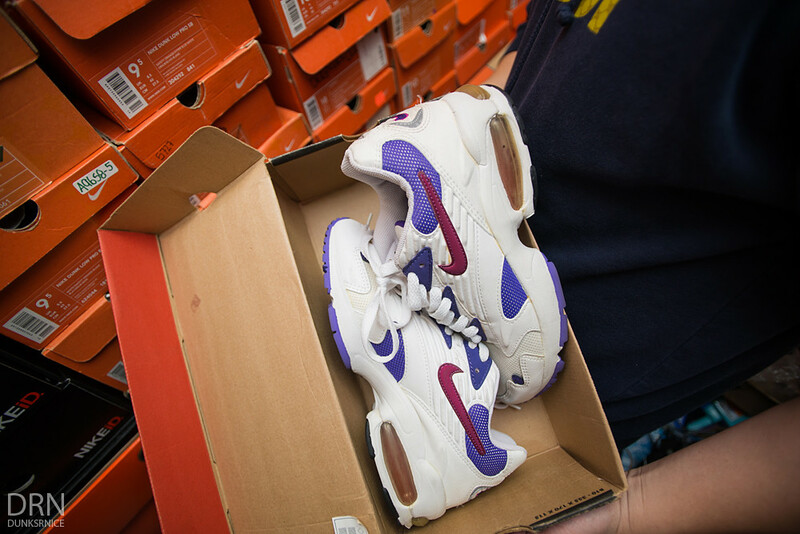 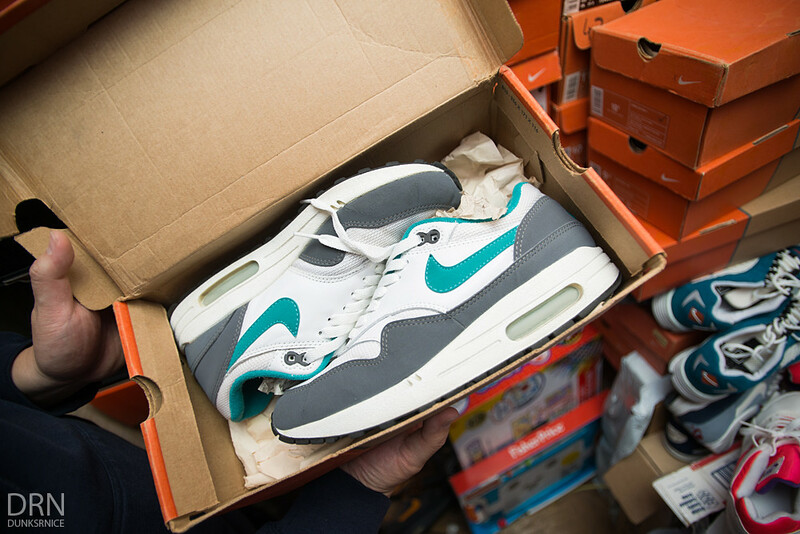 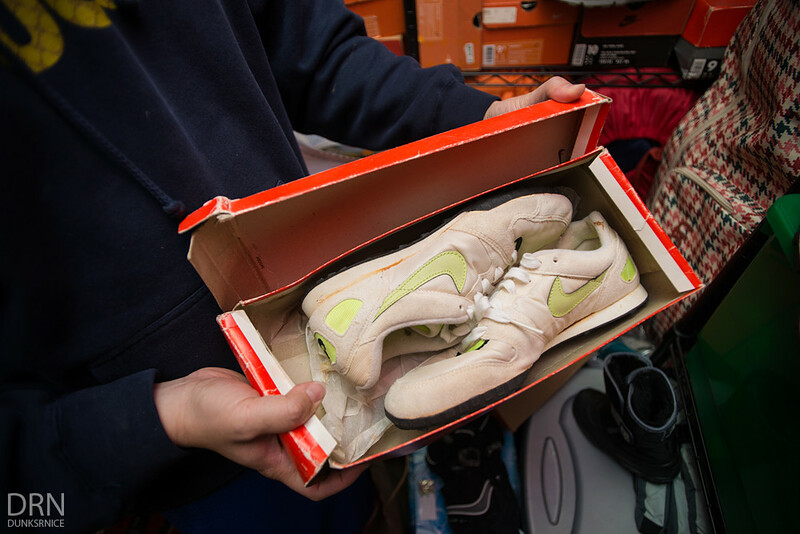 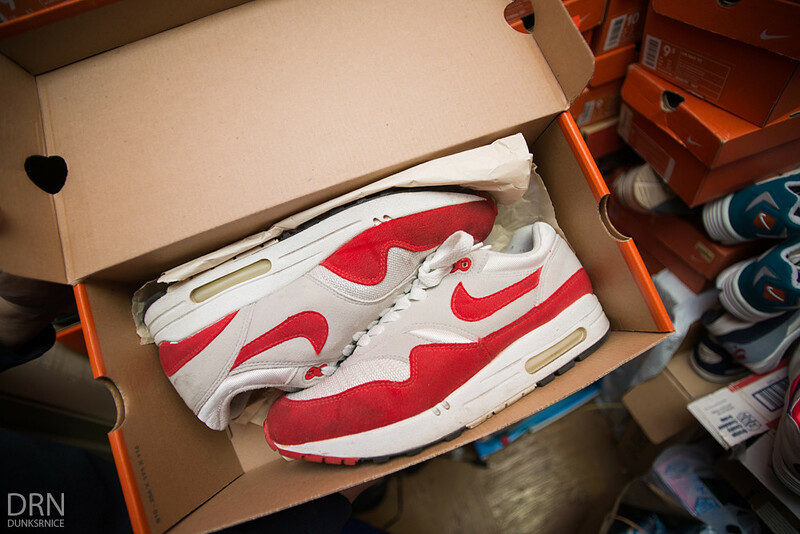 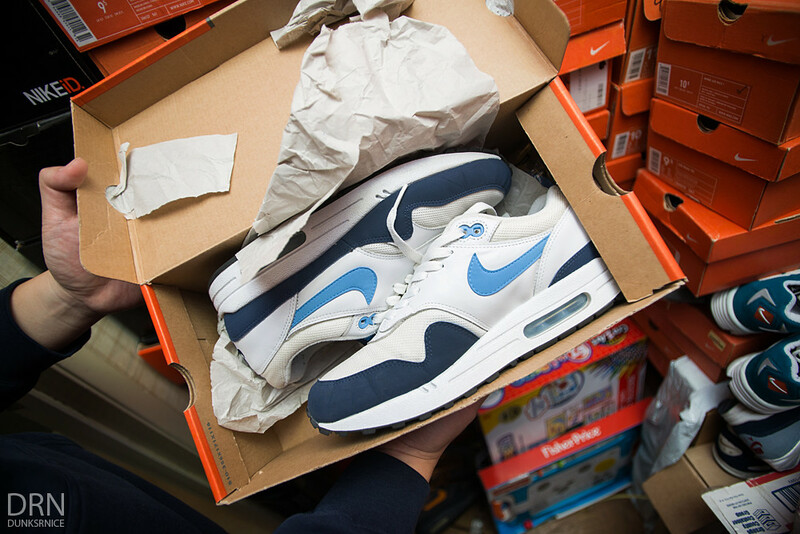 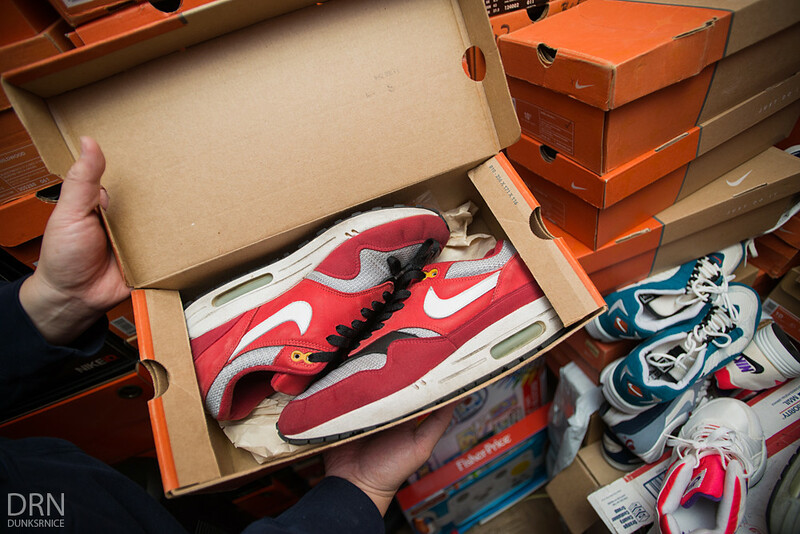 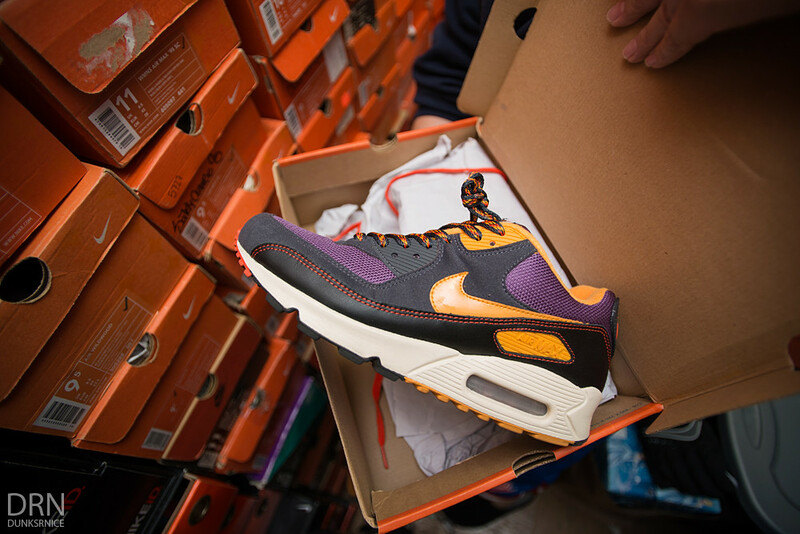 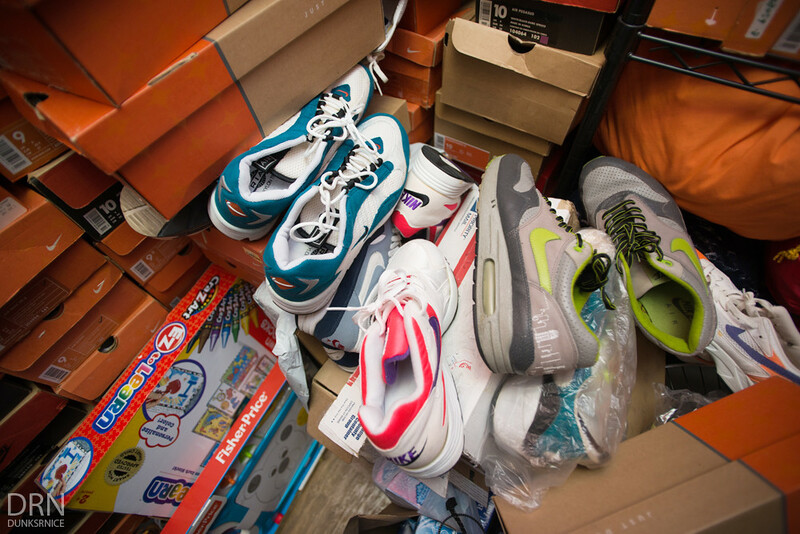 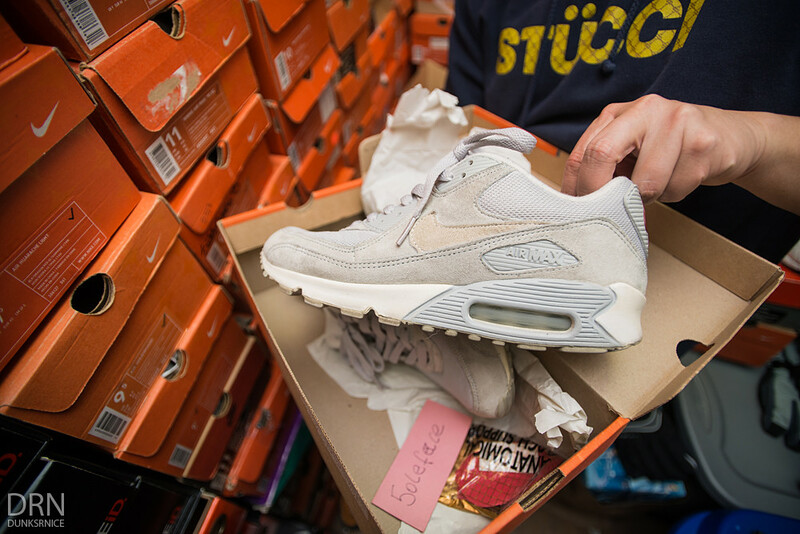 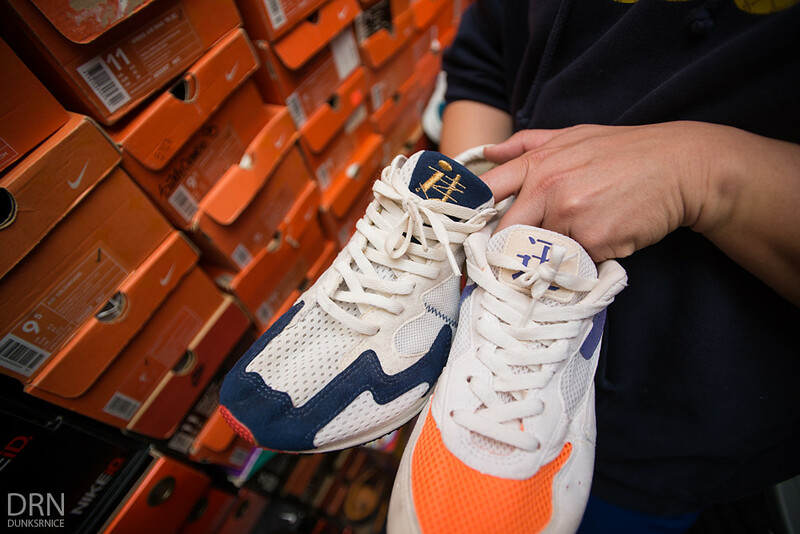 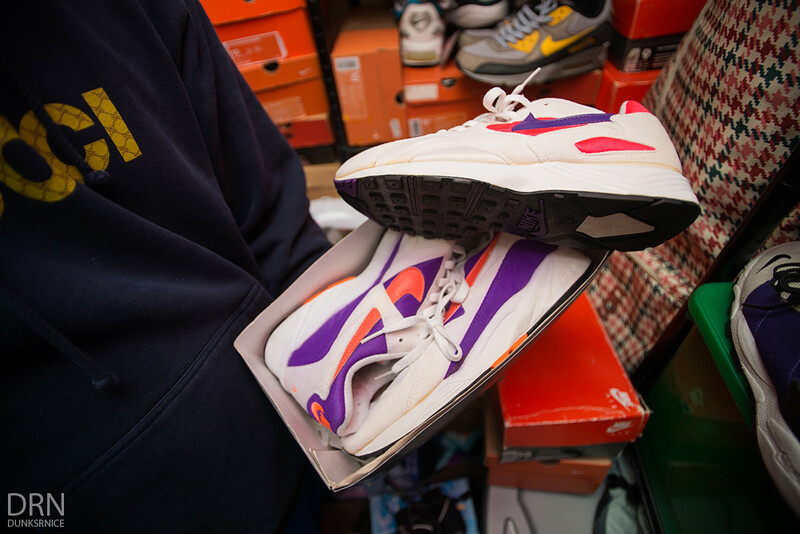 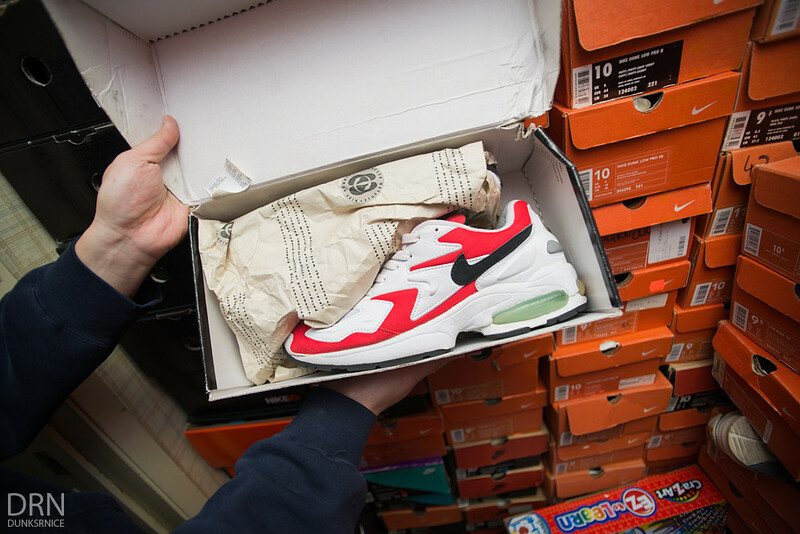 A few days ago, I had the privilege to check out and document S.L.I.N.G's vintage sneaker collection. 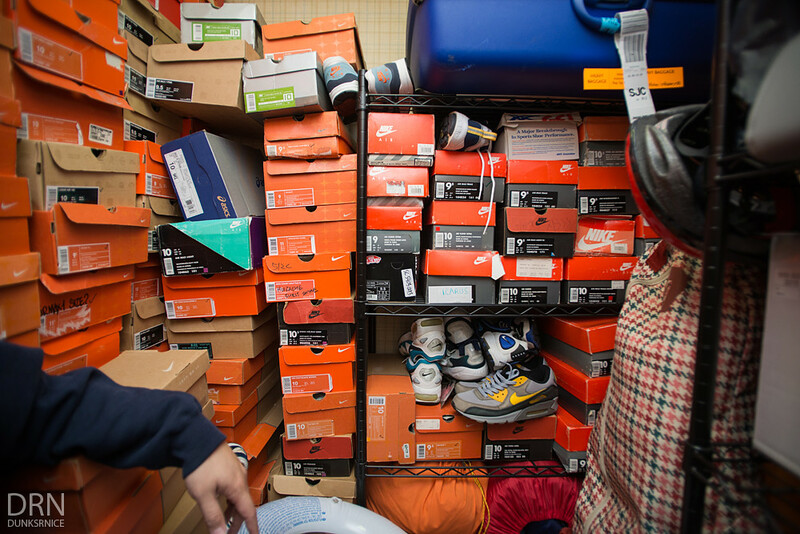 Only a few have ever checked out his personal collection yet alone take any photographs of it. 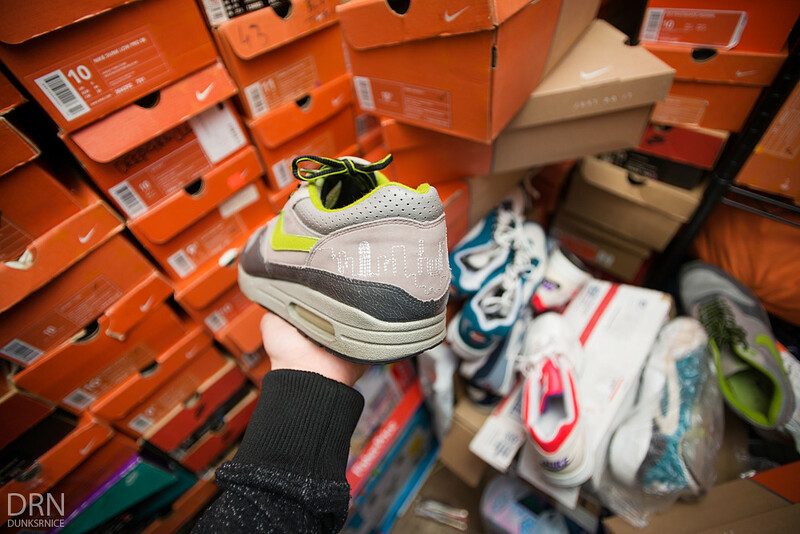 It was great learning and hearing countless stories of each sneaker. 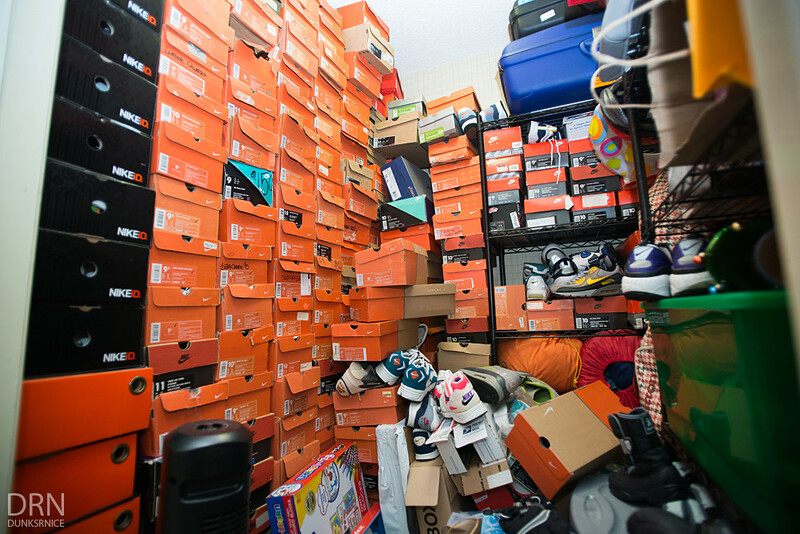 The moment I walked in the room, I was overwhelmed. 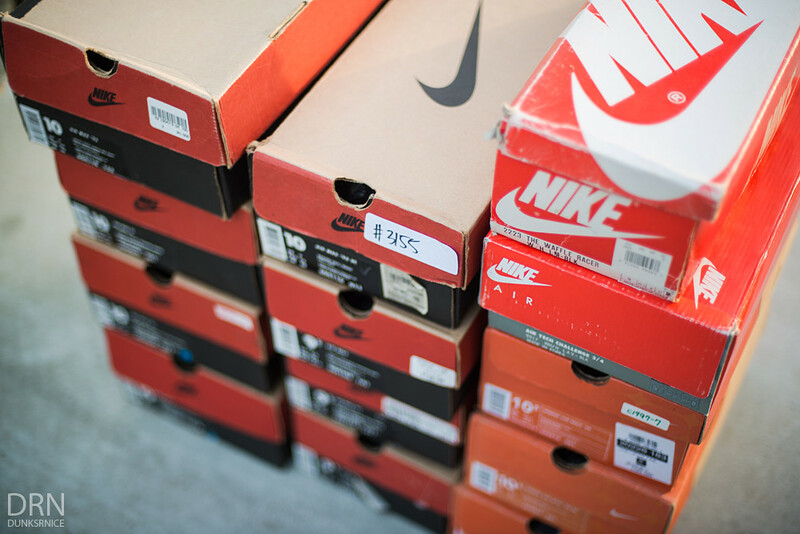 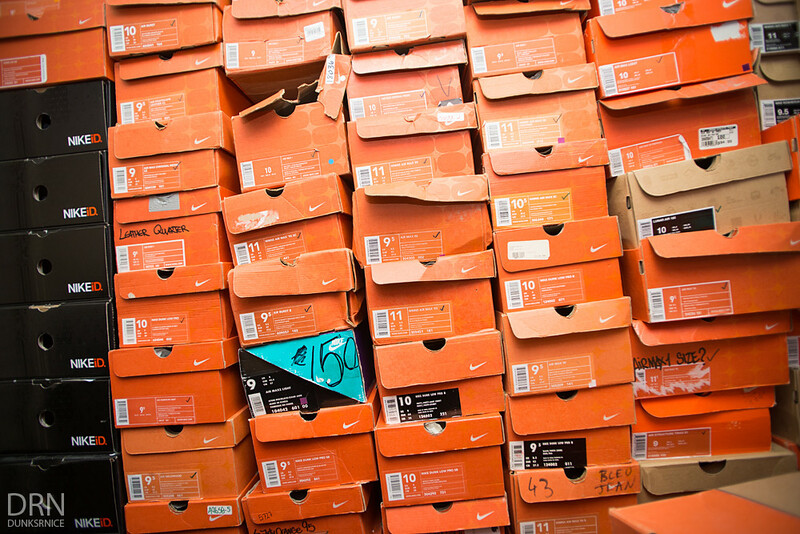 A bunch of older and original Nike boxes stacked high to the ceiling and not knowing what's in each box is always a thrill. 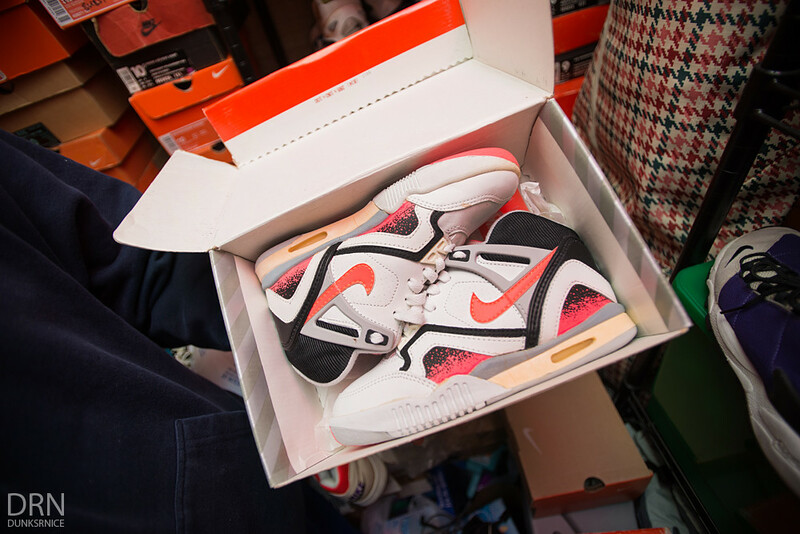 For each shoe S.L.I.N.G pulled out, I asked him to explain the history, how he got that shoe, what make's it special or even sought after. 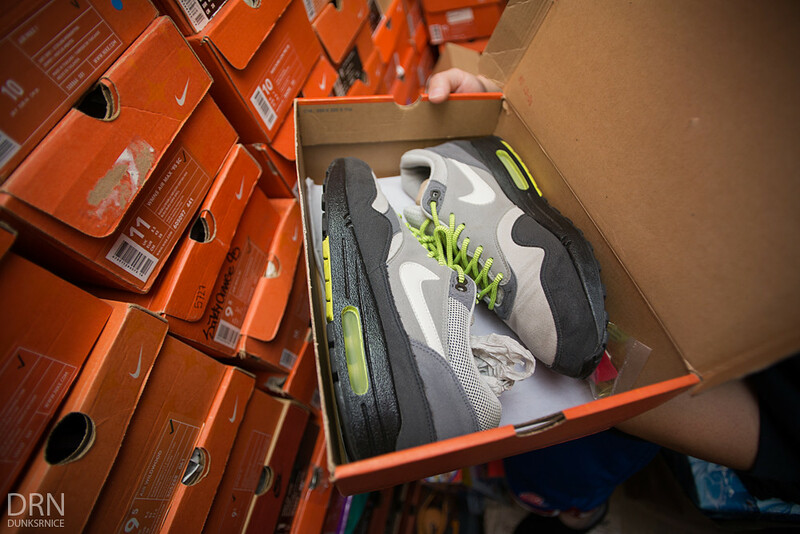 Overall, a great experience I'll never forget. 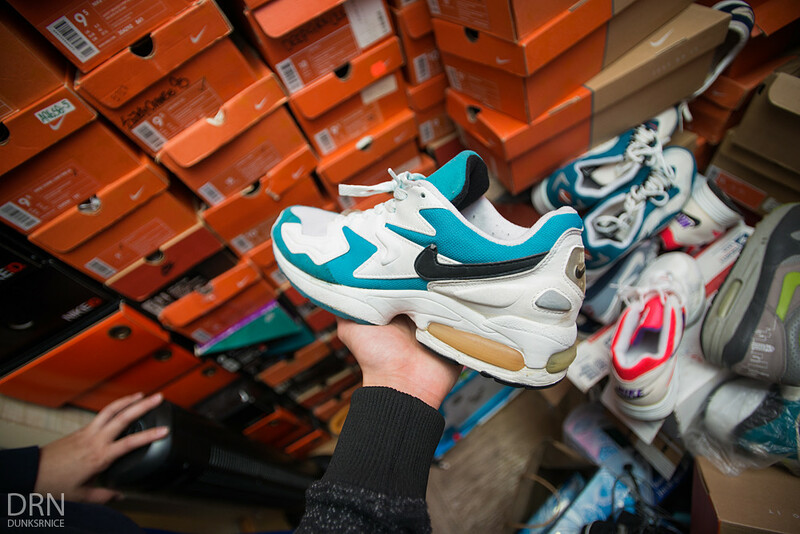 Thank you again S.L.I.N.G! 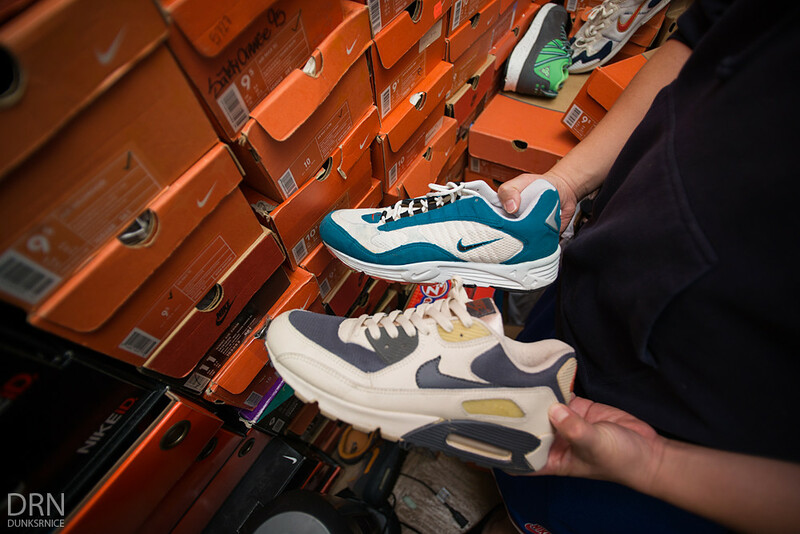 S.L.I.N.G gave me an unbelievable sneaker bundle deal I couldn't pass. 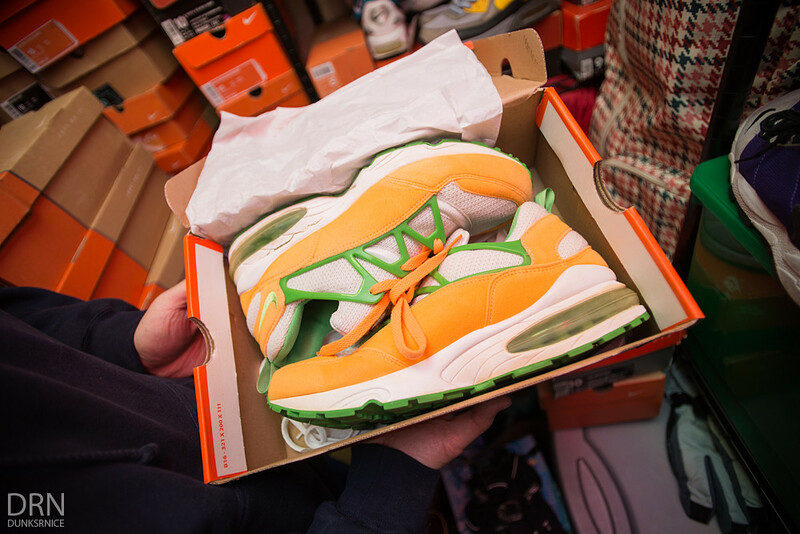 Today I ended up photographing my pick ups from that same night. 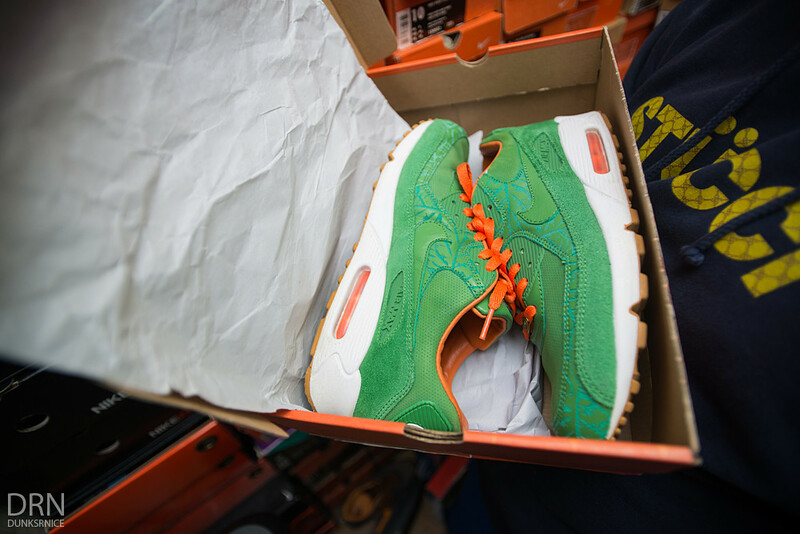 Some aren't my size but if I were to tell you how much I got them for, you probably wouldn't either. 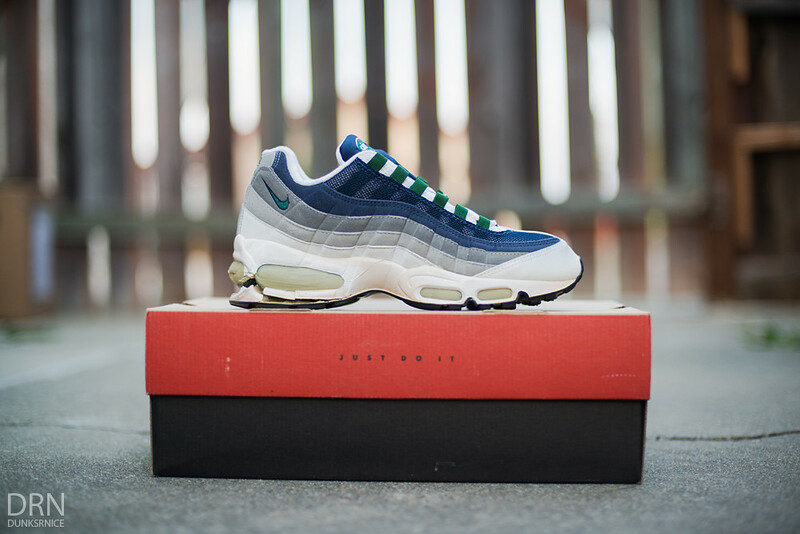 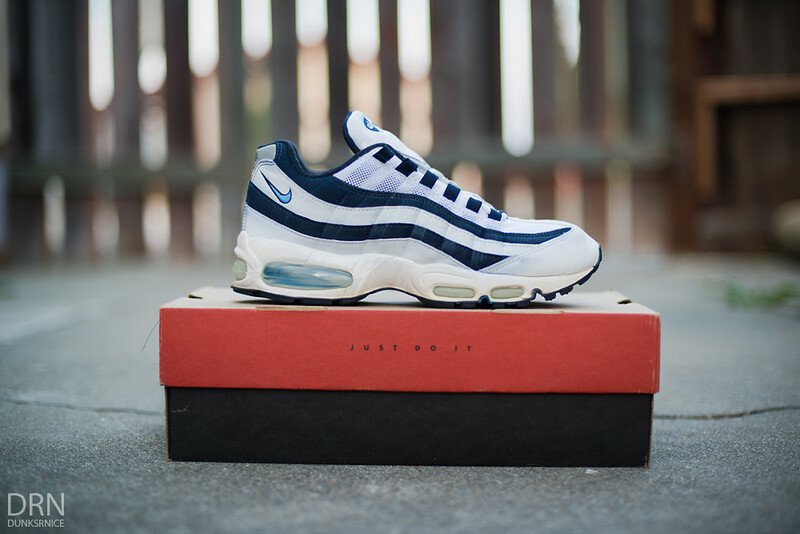 1998 Navy & Forest AM95's. 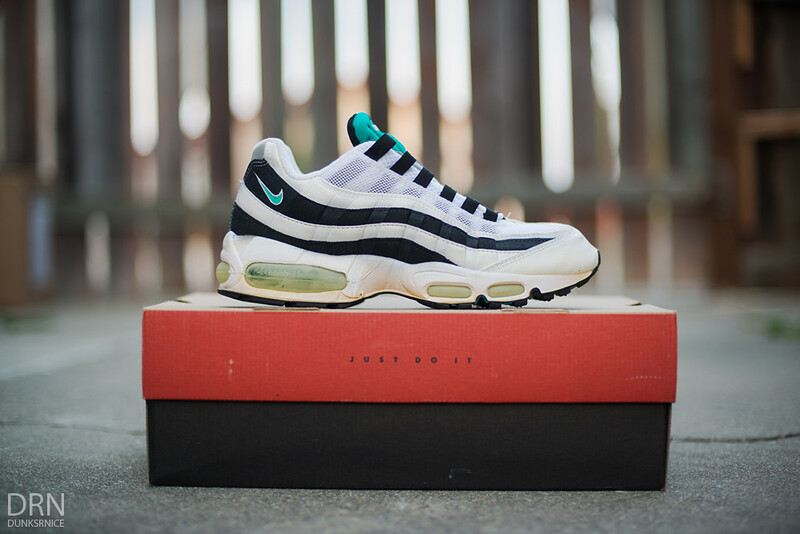 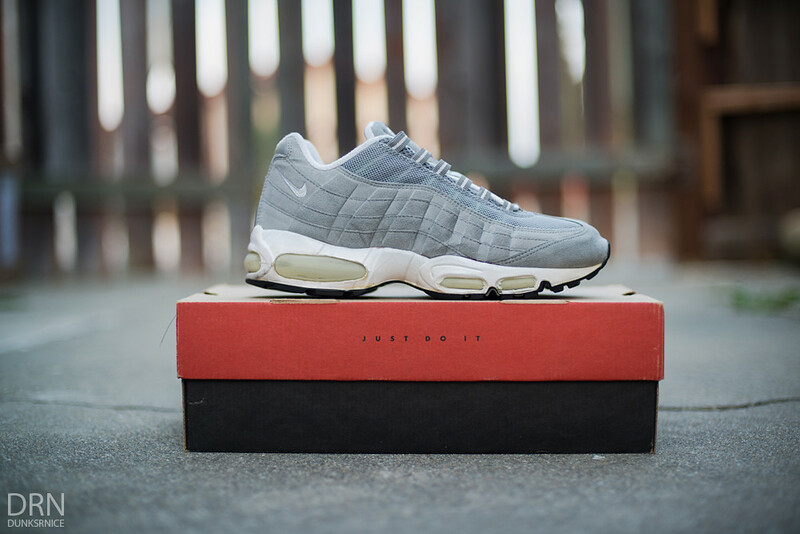 1999 White & Obsidian Carolina AM95's. 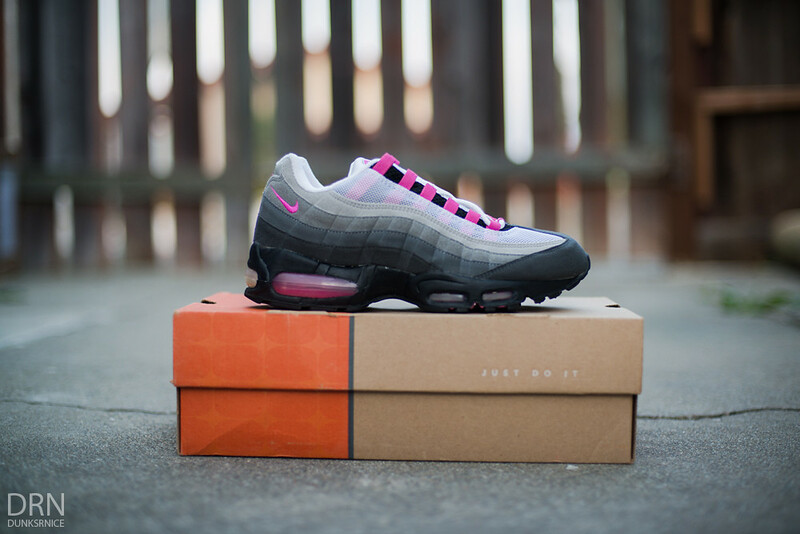 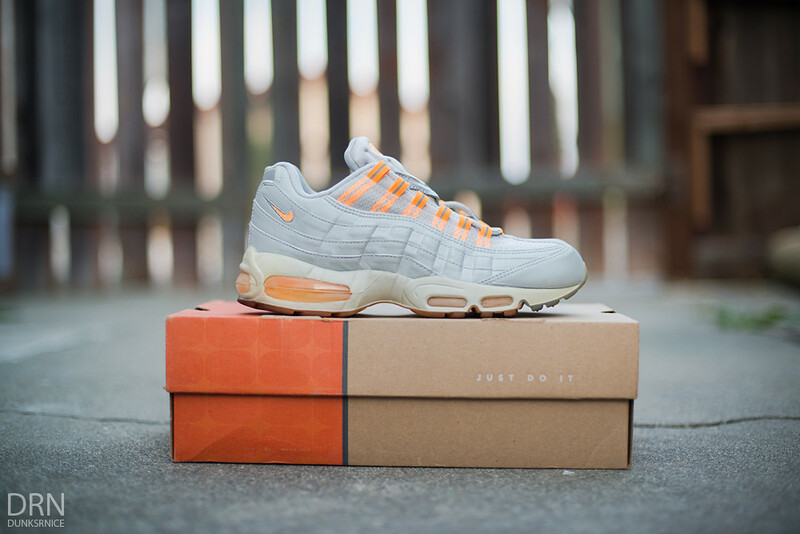 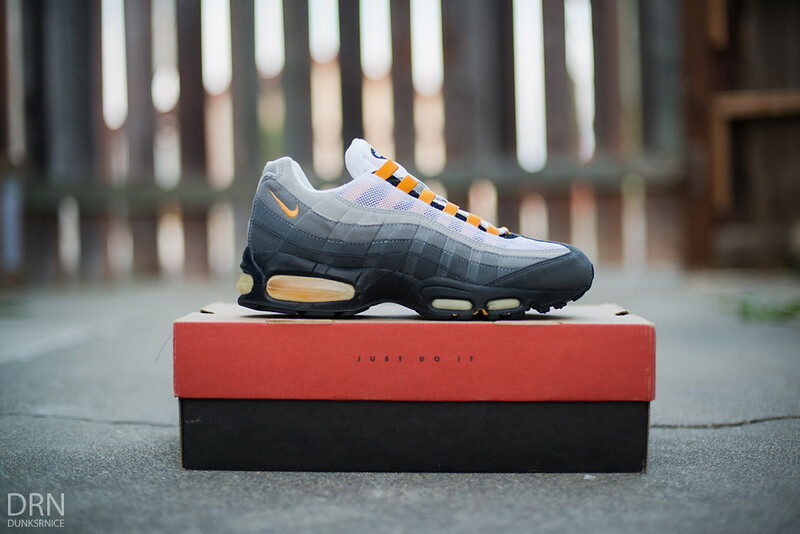 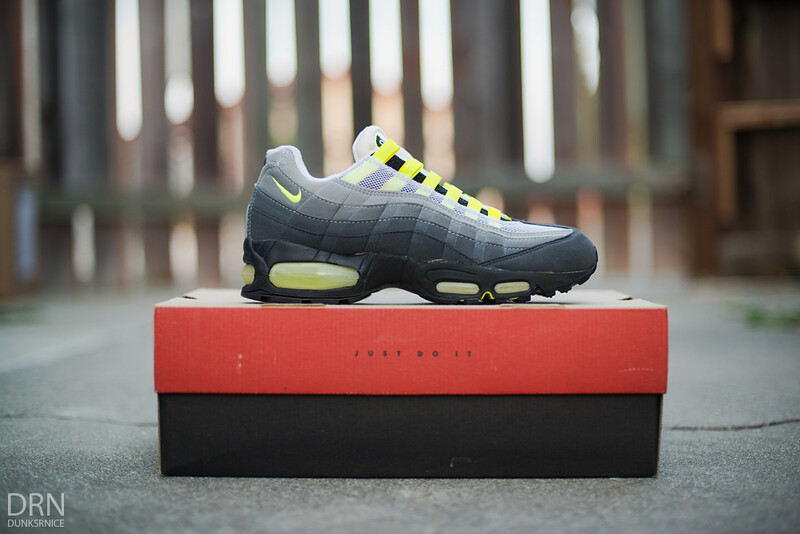 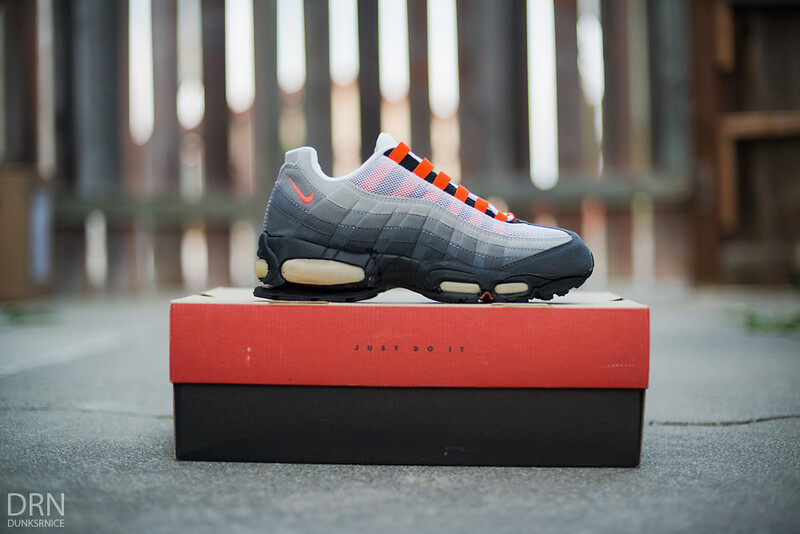 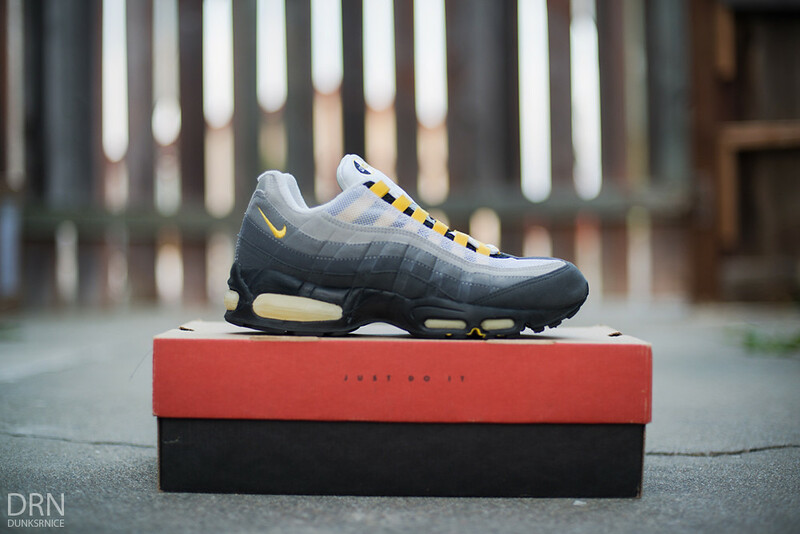 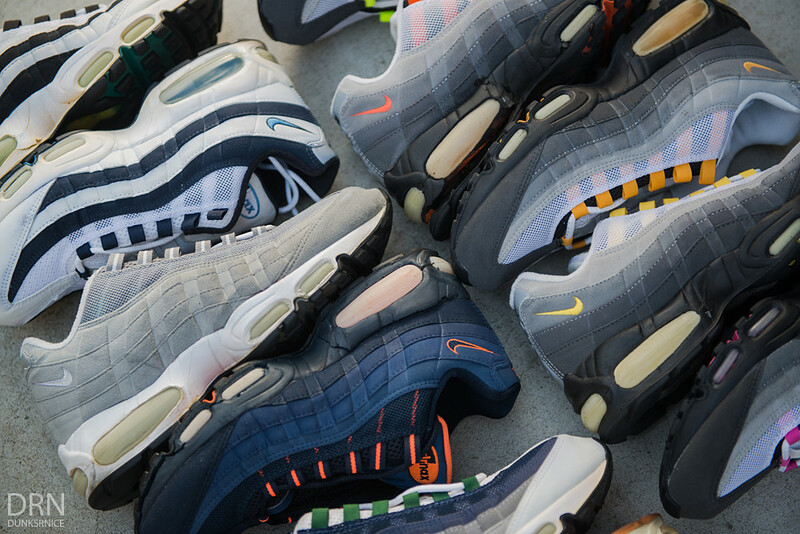 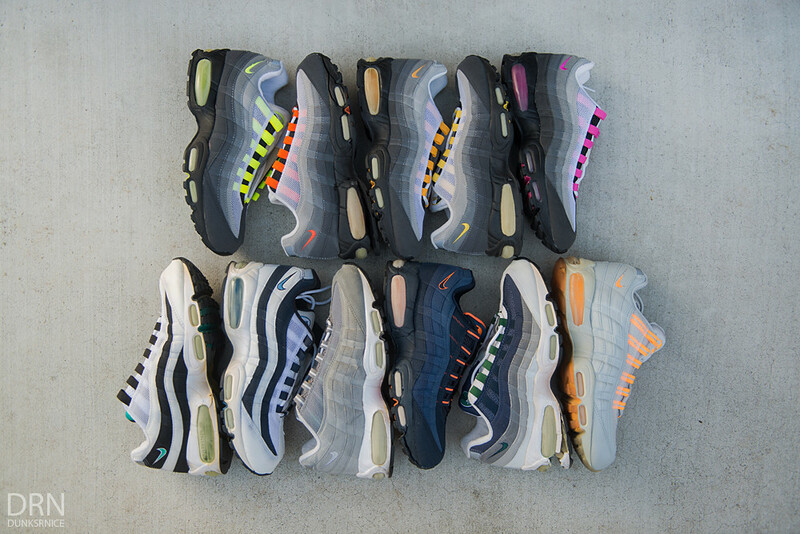 2001 Grey & Citrus AM95's. 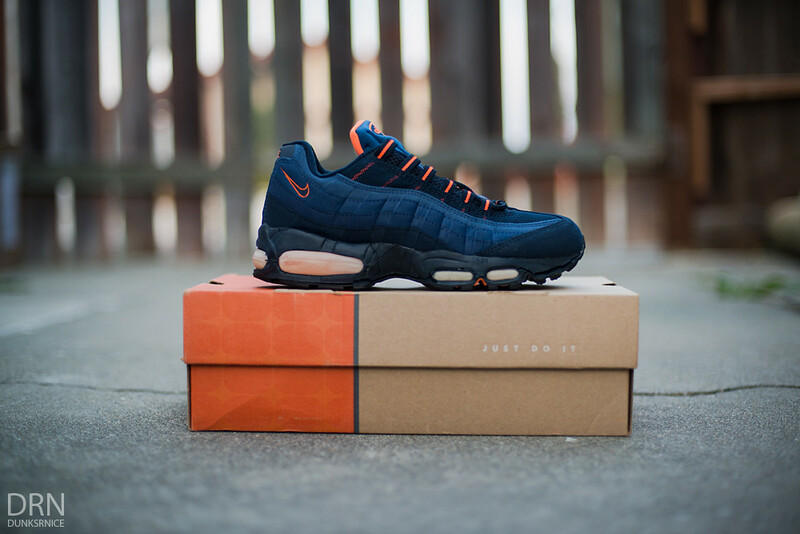 1999 Obsidian & Orange AM95's. 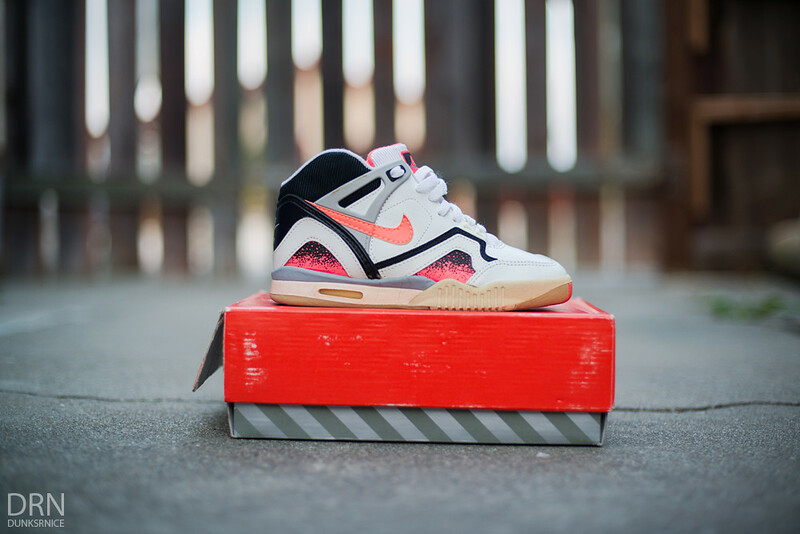 1990 Youth Hot Lava ATC 3/4's.